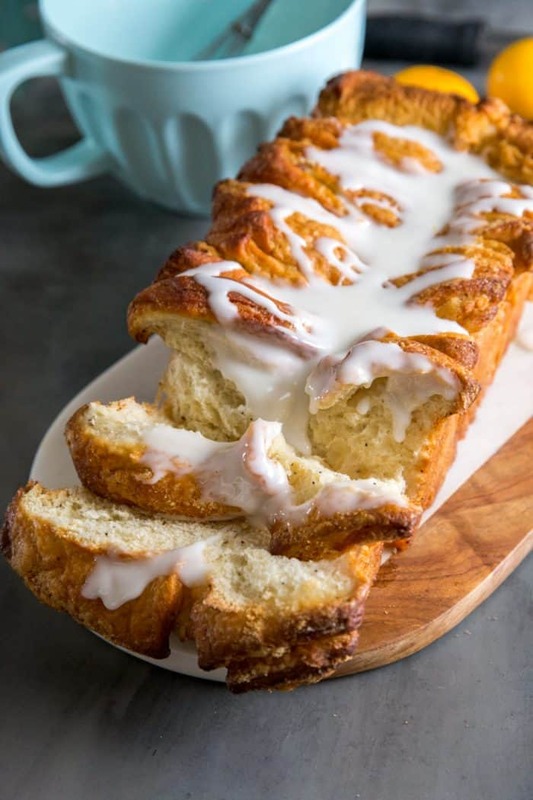 The Lemon Poppy Seed Bread is soft and tender and covered in a sweet vanilla drizzle. 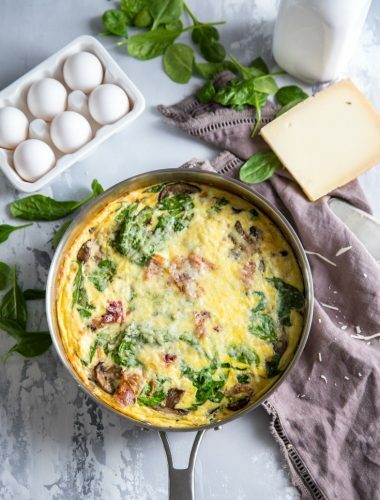 This bread makes a great addition to any breakfast or brunch and it is just as good as a midday snack! What Is Lemon Poppy Seed Bread? This lemon poppy seed bread is a yeast-based bread that is infused with lemons and has a sprinkling of poppy seeds! This bread has a fresh taste and soft, tender texture that is absolutely delightful! 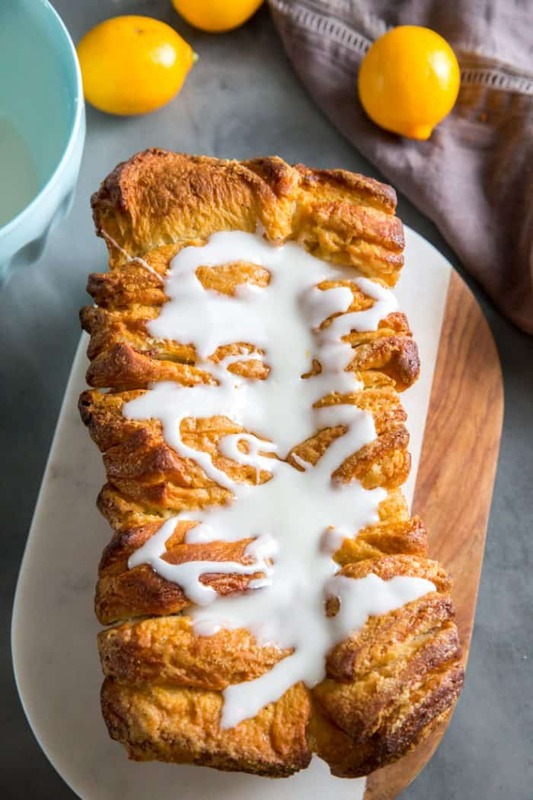 And just like this Caramel Apple Pull-Apart Bread Recipe, this lemon poppy seed bread is made with yeast and shaped like an accordion before baking. 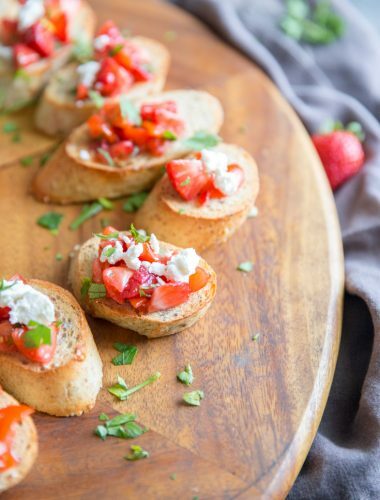 It is a fun spin on the popular loaf bread! WHERE IS THE LEMON POPPY SEED BREAD RECIPE? If you’d rather skip cooking tips, suggestions, handy substitutions, related recipe ideas – and get straight to the Lemon Poppy Seed Bread Recipe– simply scroll to the bottom of the page where you can find the printable recipe card. This recipe starts with a packet of active dry yeast, warm water, and sugar. Allow this to bloom (the mixture will foam and combine) while the rest of the ingredients (except the flour) are combined in a mixing bowl. When all the ingredients are creamy and smooth, the yeast is mixed in. The flour is added last. You will want to add the flour in slowly to make sure it all gets incorporated. You will want the batter to be smooth before you turn it onto a floured surface. At this point, I like to knead the dough for about 5 minutes before I place it in a greased and covered bowl. Allow the dough to rest in a draft-free space for 1 1/2 hours to 2 hours. Before moving on, you want the dough to double in size. When the dough has doubled, punch it down and place it once again on a floured surface. You can either divide the dough for two small loaves or roll it out to one larger square and make one loaf as I have done here. The dough will be rolled out to a 20 x 12 rectangle. Cover the dough with softened butter and sprinkle with lemon sugar then cut the dough into 5 strips. Stack the strips then cut the stack into 6 equal parts. Arrange the individual stacks accordion style in a greased loaf pan. 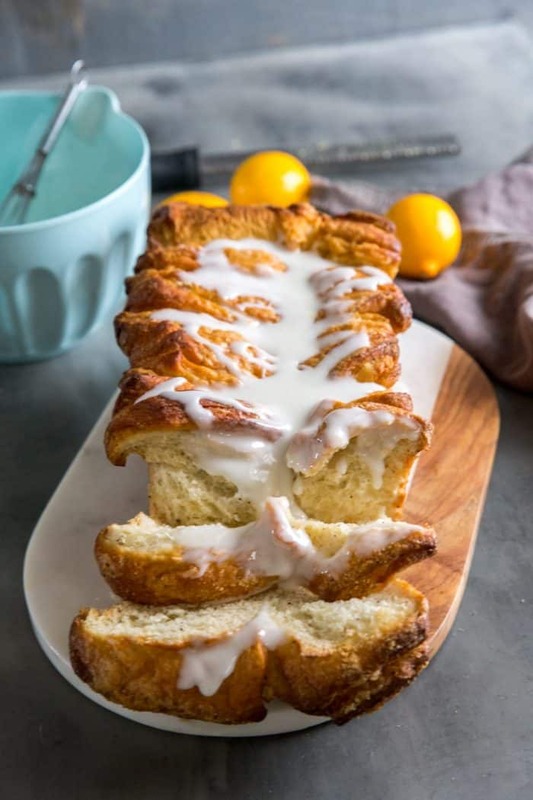 A simple lemon syrup will be drizzled over the loaf before it is covered and left to rise for another hour. Once the dough has risen, bake the loaf for 30-35 minutes for small loaves for 40-45 minutes for a larger loaf. The bread is done when a toothpick inserted in the center comes out clean. Allow the bread to rest completely before adding the glaze. Make sure you are using fresh yeast. Yeast does have an expiration date and will not bloom correctly if it has been sitting for too long. To create a draft-free space for my dough to rise, I like to heat a microwave for 2-3 minutes. Wait 30 seconds and then place your covered bowl or loaf pan in the microwave until the dough is ready. If you are making one loaf pan, watch the dough as it rises in the loaf pan, if it rises too much, the bake time will be affected and your dough will spill over. If the edges of your bread begin to brown too quickly place a loose piece of foil over your bread as it continues to bake. 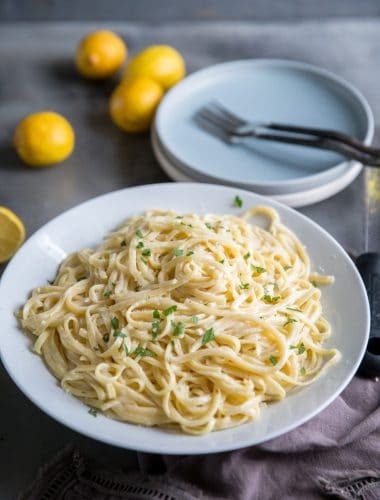 I used Meyer lemons for this recipe for their sweetness, but any lemon (or citrus for that matter) will work. 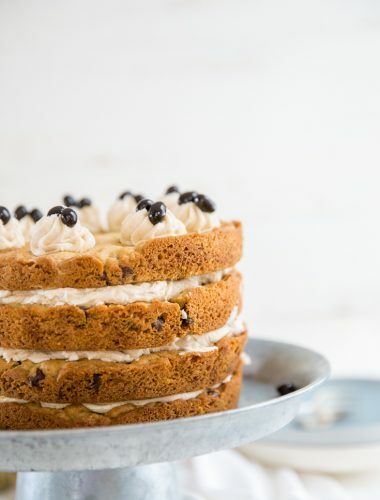 Some more of my favorite recipes with poppy seeds are: Orange Poppy Seed Almond Flour Cake, Blueberry Muffins With Poppy Seeds, Lemon Poppy Seed Baked Donuts, Orange Bundt cake, Sugar Cookies with Lemon and Poppy Seeds and Lemon Poppy Seed Cake!! Combine first 3 ingredients in a measuring cup and let stand 5 minutes. Beat 1/2 cup butter at medium speed in a stand mixer. Gradually add 1/2 cup sugar and salt. Beat until light and fluffy-about 3 minutes. Beat in eggs, milk and lemon juice. Stir in yeast mixture. Gradually add bread flour and poppy seeds until blended. Sprinkle a flat surface with bread flour. Turn out dough and knead until smooth (approx. 5 minutes). Coat a large bowl with cooking spray, coat dough completely. Cover and place in a warm place free from drafts for 1 1/2 to 2 hours or until doubled in size. In a small bowl, combine 1 cup of sugar and lemon zest. Punch down dough and turn out onto flat surface. Divide dough in half. Roll out 1 half of dough into a 20 x 12 inch rectangle. Spread dough with 1/2 cup softened butter. Cut dough into 5 strips about 12 x 4 inches each. Sprinkle each strip with citrus sugar mixture.. Stack each strip, one on top of each other. Cut into sixths. Lightly grease 2 9x5 bread pans. Place stacks cut side up into prepared pan. Repeat procedure with second half of dough. Whisk together powdered sugar, melted butter, honey and egg white. Pour over loaves. Loosely cover each pan and let dough rise once again for 1 hour or until doubled in size. Bake for 350 for 30-35 minutes or until golden brown. Add aluminum foil to the last 10 minutes if your loaf begins to brown too quickly. Remove from oven and let sand 10 minutes before removing from pan. Let cool on a wire rack. 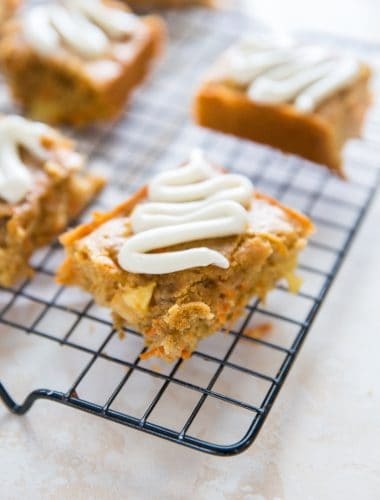 Whisk together all the ingredients for the drizzle. Pour over bread. 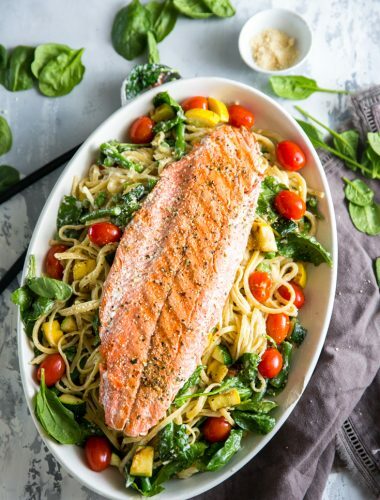 Oh my goodness, Tanya, this looks simply amazing!!! I am the biggest lemon lover ever, and I LOVE this! 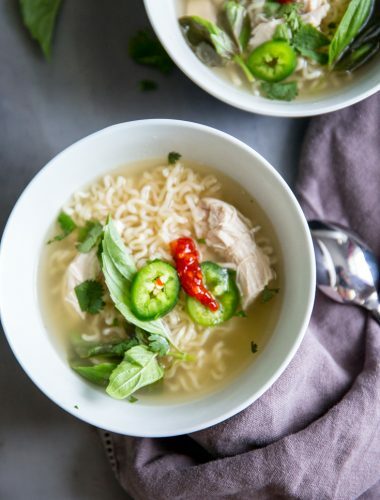 Thank you so much for sharing this recipe, which I will SO be trying! 🙂 Pinning and sharing! Hope you have a happy Monday! I love lemon too Cindy!! Thanks for sharing Cindy! Good choice! I’d take chipped nails and this bread over a perfect looking manicure, too! Oh yeah, I’d definitely rather have this bread over pretty nails! 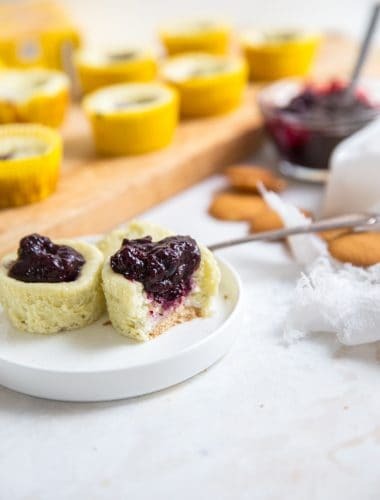 I love seeing lemon recipes pop up online now – I think it means warmer weather is coming ??! 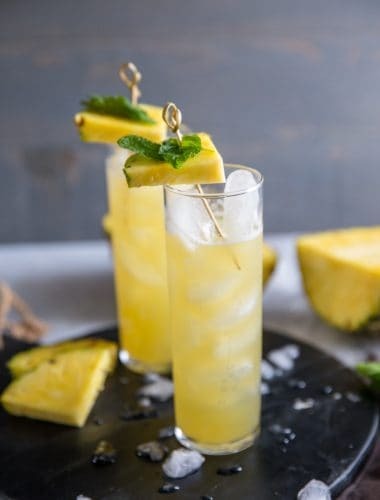 I adore lemon recipes Holly! It makes me think of spring too-which means I need more lemon recipes! This pull apart has my stomach growling so loudly! It looks wonderfully moist and the lemon flavor is just what this winter needs to brighten things up. You totally have the aright approach. You do feel better when you look better! 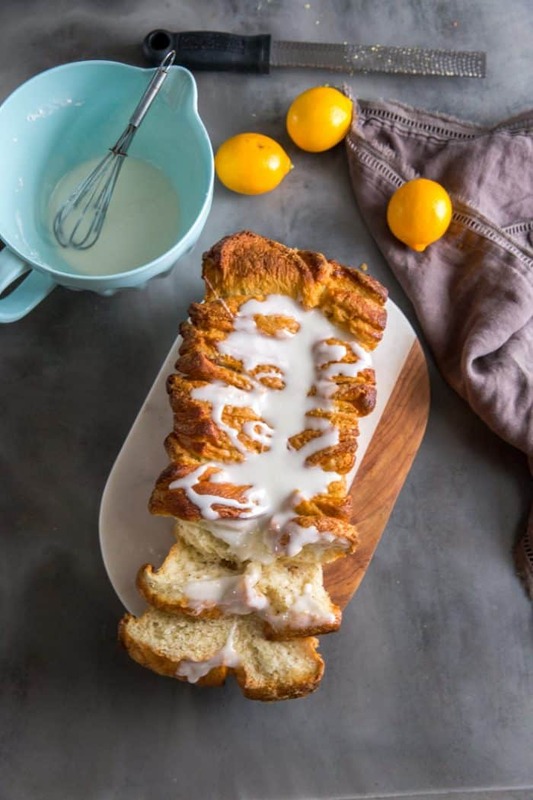 I thought this lemon bread was just what winter needed! Thank you Laura! You are hilarious Tanya. I totally know what you are saying though! I put in some earrings and suddenly I’m thinking of myself as a Vogue cover model. Only it’s Vogue SAHM’s Addition 🙂 Pinning this bread! It looks amazing! It’s the little things Lisa isn’t it? Hey, us SAHM need to get through the day! Get gel nail polish- no chips for 2 weeks!! I treat my mom to a pedicure 2 times a month and honestly it is so nice to just set aside 45 minutes- it really does make a difference! 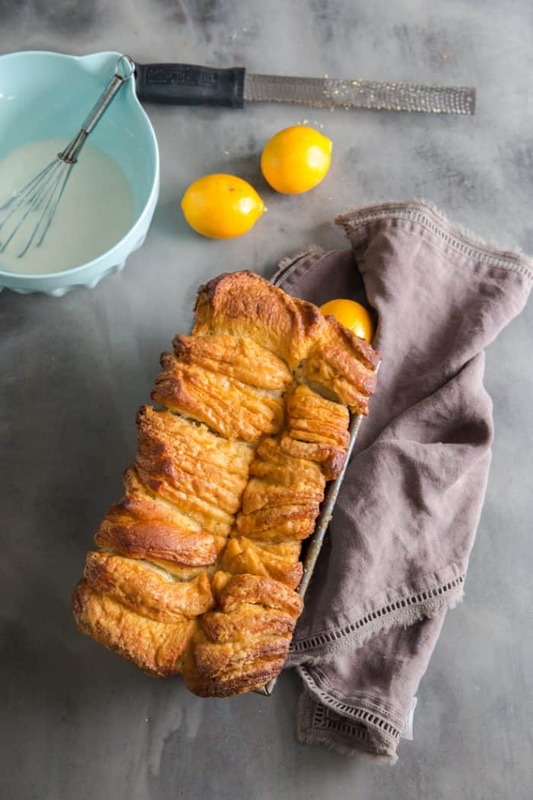 I have always wanted to try pull apart bread but have yet to, the lemon ugh!! I want my lemons to turn yellow already- damn green lemon tree!! This looks so good Tanya! 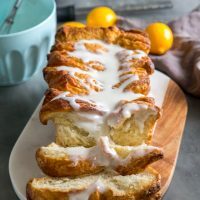 I am a big lemon fan – especially meyer lemons and I would definitely sacrifice my manicured nails to have some of this amazing looking bread! Pinning! Wow! My mouth is watering. 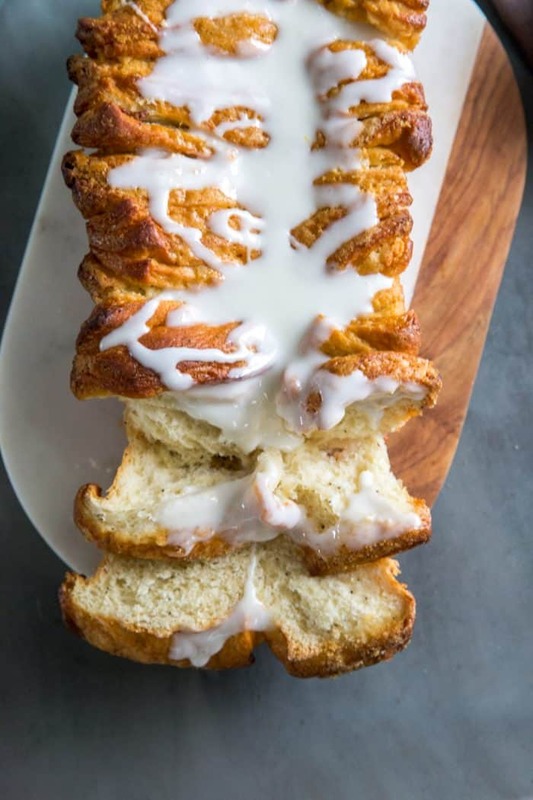 I love making pull apart bread and your version looks incredible! 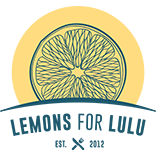 Meyer lemons have been rocking my world lately – they’re just so good. Can’t wait to try! I pick up a bag of lemons each time I go to the store. They are wonderful! Thank you Kathi! Okay first of all this bread needs to get in my face like NOW. It is amazing. And second — omg you sound like me! Last time I got a manicure was for my sisters wedding 5 1/2 years ago. I am sooooo bad at being a girl. But then when I do something small I have all this swag. Hilarious. Gimme jeans and a t-shirt though. It’s really the only way I know how to be. P.S. Paint your toenails. It lasts longer. I was so getting my nails painted until the end of that story! 🙂 Seriously continuing to drool over this bread…. You are cracking me up!! I totally agree with everything you said in this post! I feel like a new girl when my nails are painted – which is just about NEVER! I hate getting ready and spend almost every day in yoga pants with my hair in a ponytail! I would kill for this bread, though! It looks SO AMAZING!!!! Love the pictures, yum! Thank you Jen! I wish I were more girly, but it’s just not going to happen! I knew I was the only one in the world who prefers to have unpainted nails! Thanks Cathy for making me feel normal! This bread looks gorgeous and YUMMY! Saving! Oh my this is making my mouth water – so good! Wow that looks amazing! I love love lemon breads. I’m going to have to make this because the hubby loves lemon and poppy seed. Thank you for sharing! Am I missing something? 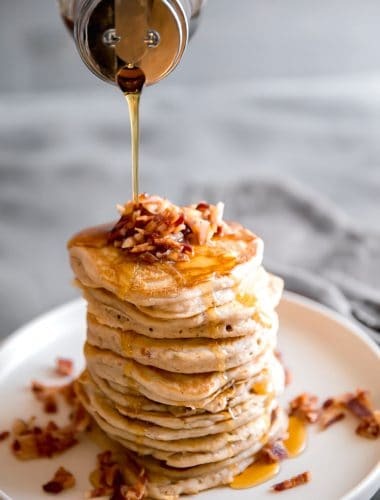 The filling calls for melted butter, honey and egg white, but the recipe makes it sound like those are for the glaze. This is super-complicated…can’t you just come make it for me?! There are actually two parts to the filling, the sugar/zest and the syrup. Why does the glaze call for 1 tsp lemon juice, then the juice of 5 lemons? I’m a little confused. Hello, looks beautiful!! 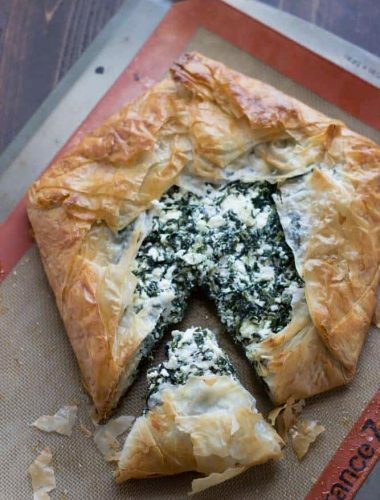 I am wanting to make this but the recipe seems to be missing instructions for the filling. Normally this would be self explanatory, except you mention sprinkling “citrus sugar”, so that throws me off. The filling ingredients would be more of a liquid substance. Usually citrus sugar is simply zest and sugar. I do not see where the filling fits into this recipe, since there is the citrus sugar and then the glaze. Please advise. Thanks for your help in figuring out the proper way to this gorgeous bread. I amended the recipe, hopefully it’s easier to understand. Thank you!